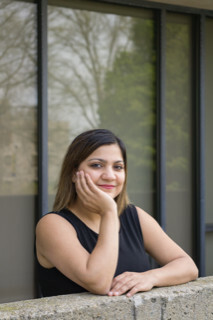 Priya Kohli holds a BS degree from the Delhi University, India, and a MS in Agricultural Statistics from Indian Agricultural Statistics Research Institute, India and a MS in Applied Probability and Statistics from Northern Illinois University and a PhD in Statistics from Texas A&M University. She interned at Robert Bosch LLC – Research & Technology Center at Palo Alto, CA in the Machine Learning & Data Mining Group. Her research work at Boschwas accepted as a U.S. patent and a European patent. Professor Kohli is an Associate Professor of Statistics at Connecticut College, Department of Mathematics and Statistics. Her specialization is in the areas of covariance modeling, longitudinal/panel studies, and multivariate modeling. She actively works in interdisciplinary research areas including RNA-sequencing analysis, healthcare devices, environmental sciences, and business and finance. Her research accomplishments include publications in some of the most distinguished international statistics and interdisciplinary journals. She has presented her research work at several prestigious international and national conferences. She has developed and taught courses like Statistical Computing, Time Series Analysis, Probability, and Mathematical Statistics at Connecticut College.